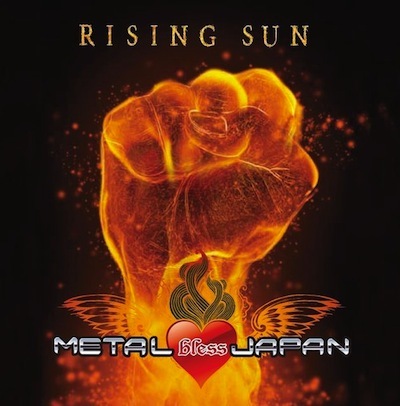 Our singer Koh Nishino joins Japan earthquake charity project METAL BLESS JAPAN and their album “Rising Sun” on store today. Koh sings main campaign song “Rising Sun” with 22 singers, and he re-recorded a vocal part of HELLHOUND‘s anthem “Metal Warrior” and offer it to this album. You can get more details and can order this album via Amazon.co.jp. Of course, other major CD shops and indie-metal shops in Japan also sell this CD. *The profit obtained by sales will contributed to Civic Force (Disaster Relief Agency).